Taiwan’s capital Taipei has traditionally been the top choice for foreign tourists when they visit the island. 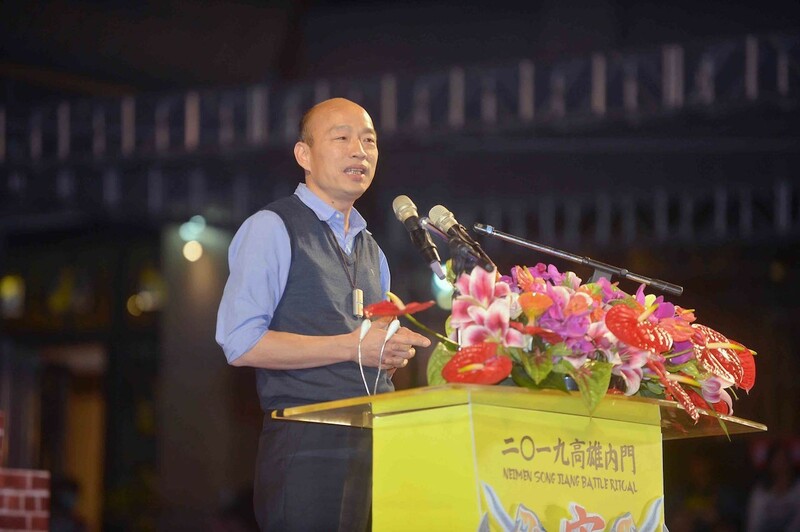 But Han Kuo-yu, the newly-elected mayor of the southern port city of Kaohsiung, is trying to change all this. “Welcome to Kaohsiung! Find anything you want to find here!” said Han to a group of visiting foreign journalists. Caption:Han Kuo-yu, the newly-elected mayor of the southern port city of Kaohsiung, is trying to promote the city's tourism. The savvy mayor is using all this attention to grab every available chance to promote tourism in his city. 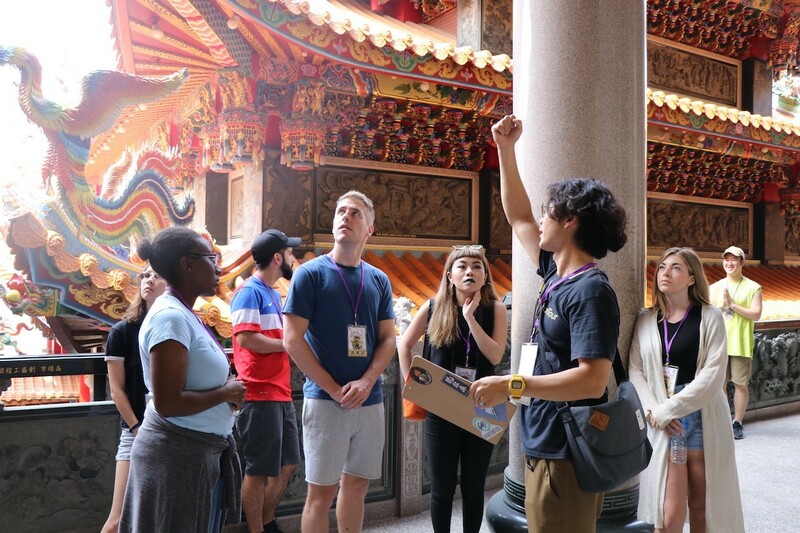 The Kaohsiung City Government at the end of March teamed up with MyTaiwanTour, a Taipei-based online tour operator founded in 2013, to introduce representatives from various foreign media outlets to cultural and scenic spots in his city. MyTaiwanTour’s specialty, according to its founder Michael Wu, is providing personalized and customized tour packages of Taiwan for visitors, who are mainly from the U.S. and Europe. “We want to promote the region’s cultural festivals,” Wu said. The group visited Neimen district in the south of the port city. There, Shun Sian Gong is the chief organizing temple for the “Neimen Song Jiang Battle Array 2019” this year. Caption: Tourists visited "Neimen Song Jiang Battle Array 2019”. In early times the Song Jiang Battle Array amounted to military preparations organized by local residents to strengthen defense and unite their town. After many years, they morphed into theatrical dramas combining entertainment for the gods with furtive military training. Today, these activities are a well-known folk art. The “formations” in the parades– also known as “battle arrays” – now are artistic performances that come in many varieties. “There are three main temples in Neimen … that take turns as the chief organizing temple to host annual “Neimen Song Jiang Battle Array,” said a man, a staffer at Shun Sian Gong, a temple, who gave his name as Mr Huang. The festival is celebrating its 15th anniversary this year. Before 2001, there were various “battle arrays” in villages and towns across Kaohsiung. The county mayor at the time came up with the idea of bringing all these cultural performances to the one place to create a festival. The “Neimen Song Jiang Battle Array” was born. Neimen was already known at the time as the “ town of battle arrays” since at 54 it was home to more of these cultural performances that any other place in Taiwan, with the Song Jiang Battle Array alone accounting for 18 of them. These days, the festival also holds a “Creative Song Jiang Battle Array Competition” to encourage students to mix traditional battle array performances with innovative performances of their own. This encourages more young people to take part. Until now, the majority of foreign tourists that visit the “Neimen Song Jiang Battle Array” have been from China. 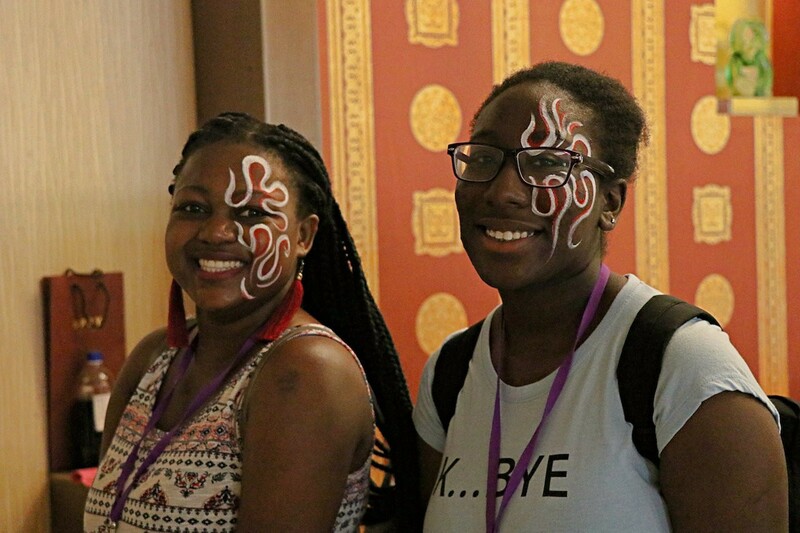 However, with an abundance of information available in this digital era, more and more backpackers from European countries or America also fly to the district to enjoy the festival. Still, “the top goal for the Kaohsiung City Government is to attract more tourists,” said Mayor Han during the opening ceremony of Neimen Song Jian Battle Array in late March. Han’s Kaohsiung City Government Plans to Create Fresh Tourism Experiences. As of 2018, Kaohsiung has a population of 2.77 million, making it the third most populous administrative division in Taiwan. After taking office, Mayor Han formed his cabinet, including the city's Tourism Bureau Director Pan Heng-hsu. Pan thinks the city’s tourist spots could shift from Fo Guang Shan monastery and its hall of giant Buddhas to modern shopping malls in Kaohsiung, such as Dream Mall. Kaohsiung has been named as the fifth best city in the world to visit in 2018 by travel guide publisher Lonely Planet.